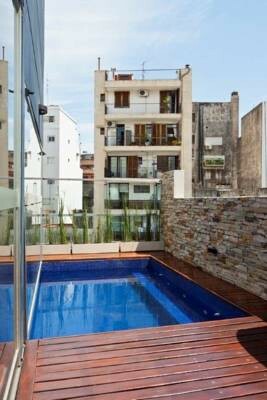 Featuring an outdoor heated swimming pool, a spa, a fitness center and an art gallery, Sileo Hotel provides plush self-catering rooms in upscale Recoleta. Breakfast is provided and there are 2 bars. The Recoleta Cemetery is right in front of the property. Decorated in olive hues, the rooms at Sileo feature parquet floors and stylish furnishing. 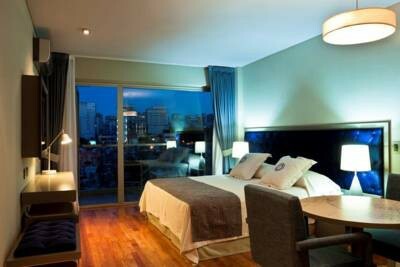 All of them have air conditioning, plasma TVs, marble bathrooms and private balconies overlooking the city. Some of them have spa bathtubs and river views. A buffet breakfast is served daily. Drinks and snacks can be enjoyed at either of the 2 bars.Guests can relax on the lounge chairs or dive in the indoor pool. Spa facilities include a sauna and massage rooms. There is also a cutting-edge fitness center, and a library with a wide variety of books. 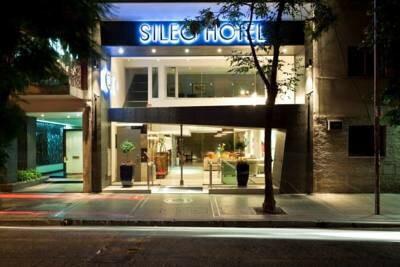 Bikes can also be rented to explore the city.Sileo Hotel is 215 yards from the Recoleta Cultural center and 320 yards from the Museum of Decorative Art.